State Experiences 18 percent Decrease in High-Poverty schools needing improvement. proficiency as identified by the federal No Child Left Behind (NCLB) law. five (minimum) up to as many as 37 goals. system from making AYP. State Superintendent of Education Joe Morton pointed out that approximately 66 percent, or 150 schools, missed making AYP by only one goal. “The state Board of Education and I have offered suggestions for improvement to the No Child Left Behind law,”said Dr. Morton. “As the U.S. Congress considers reauthorizing the law, one change we hope is made will be to consider different consequences for schools based on the degree to which they miss AYP. 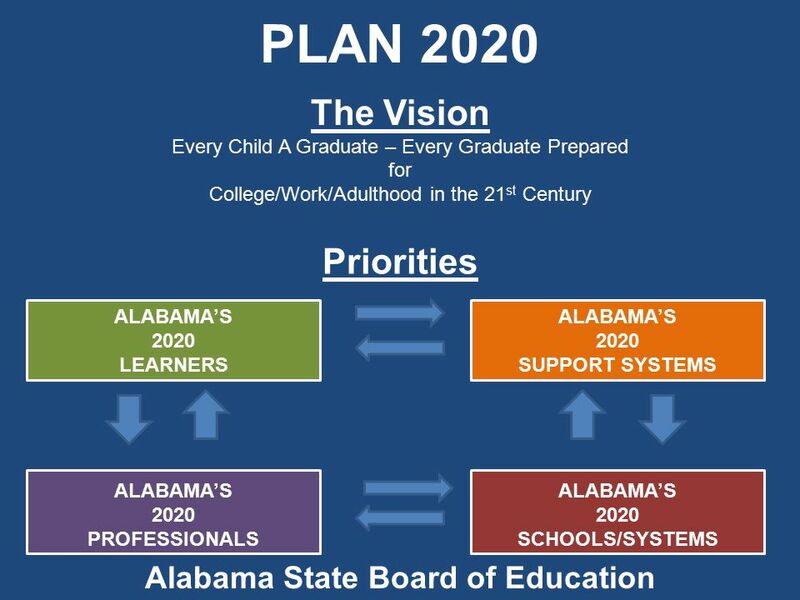 That way, if a school misses AYP in just one area, it is not treated the same as a school that misses it across the board.” Morton noted that over 97 percent of Alabama’s schools would score an “A” or “B.” Under a traditional grading scale 90-100 equals an A and 80-89 equals a B. (reading, mathematics, or AAI), the school enters School Improvement status. Schools missing AYP for at least two consecutive years will receive specific training and technical assistance through the State Support Team, which will help schools analyze their assessment data and develop a Continuous Improvement Plan. For School Improvement Alabama evaluated 1,367 public schools, including 857 Title I schools, for the 2008-09 AYP status (based on 2007-08 data). Statewide, 137 schools have been identified for School Improvement. This year, 73 are Title I schools (compared to 89 last year) identified for School Improvement – an 18 percent decrease over last year. Posted in Accountability, Department of Education, Every Student Succeeds Act, Failing Schools, No Child Left Behind Act, School Choice, Testing and tagged #iBelieve, Accountability, Advocacy, Diversity, Education, Equity, Failing Schools, Public Education, School Choice. Bookmark the permalink. 75% Achieve Goals (2012) What about those that did not make it?